Customers time are highly valuable. 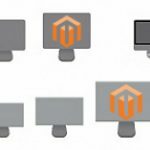 Every minute they spend on your Magento 2 store is your moment to offer them a better user experience and save their time. 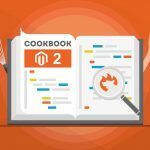 In the default Magento 2, if users want to view different products from the product page, they have to go back to the category page or catalog search result page to find a product, then open particular product page to view details and keep doing this again and again. That decrease customers interest in shopping and wastes their times. 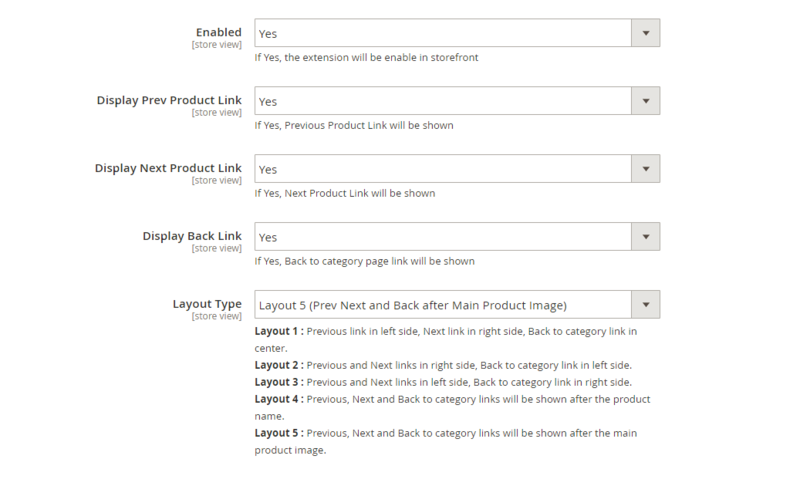 The Previous Next Product Navigation for Magento 2 by Ulmod was built overcome this, by adding “Previous”, “Next” and “Back” to category buttons, at the top of your product page, just after the breadcrumbs, allowing visitors and customers to navigate between product page. Customers can return to the top parent of category product or the current category. Store administrators can choose from up to 5 layout types available to display the “Previous”, “Next” and “Back” buttons in a different position. Display “Previous”, “Next” and “Back to category” buttons with “Text”, “Image”, “Arrow” or both “Text and Image”. 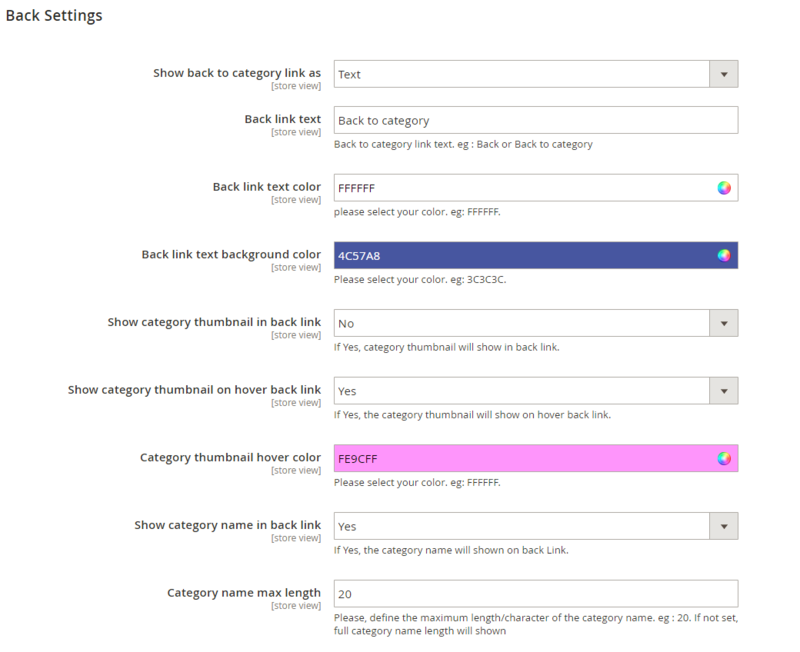 Five ready to use layouts types to display the “Previous”, “Next” and “Back” buttons in a different position. The settings of the extension consist of five areas – General, Sorting, Previous, Next and Back settings, allowing store administrators to take full control of the functionalities in the administration panel. The general section, allows admins to enable and disable the extension. 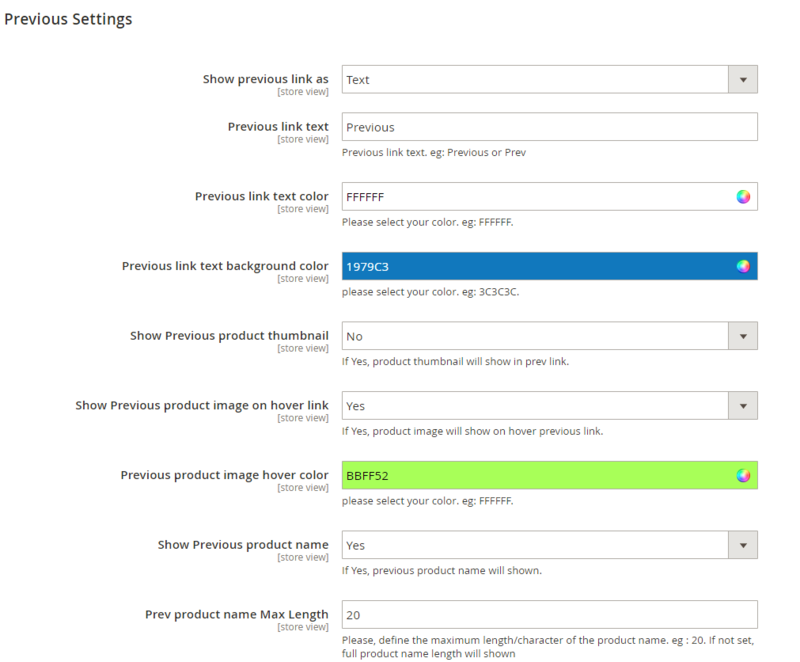 Show or hide previous, next products buttons. Choose from five clean layouts to show the “Previous”, “Next” and “Back”buttons. * Show the “Previous” button with “Text”, “Image”, “Arrow” or “Text and Image”. * Define the “Previous” button text to display on the navigation. * Choose the “Previous” button text and background colour. Show or hide the thumbnail and the name of the previous products. * Define the width and height of the previous product thumbnail and the maximum length/character of the previous product name. 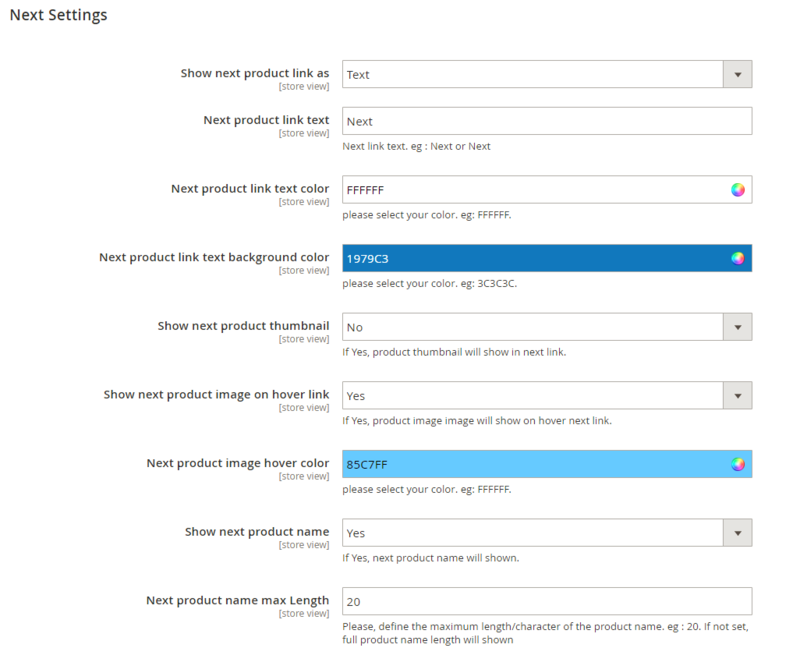 * Define the width and height of the next product thumbnail and the maximum length/character of the next product name. * Define the “Back” button text to display on the navigation. * Choose the arrow type to display on the navigation. Up to 10 arrows types supported. * Choose the “Back” button text and background colour. Show or hide the thumbnail and the name of the back products. * Specify the width and height of the back product thumbnail and the maximum length/character of the back product name. The extension is user-friendly, allowing users to seamlessly navigate between product pages with the help of “Previous” and “Next” buttons. – Navigate between previous, next product with a single click. – View the thumbnail and name of the previous and next product. 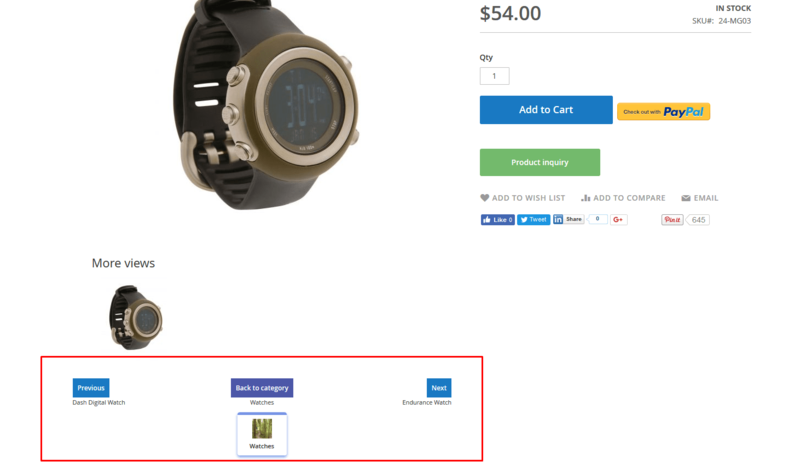 – Navigate previous and next product, sorted by product id, product name, position or price. – View the category thumbnail and name of the current product. 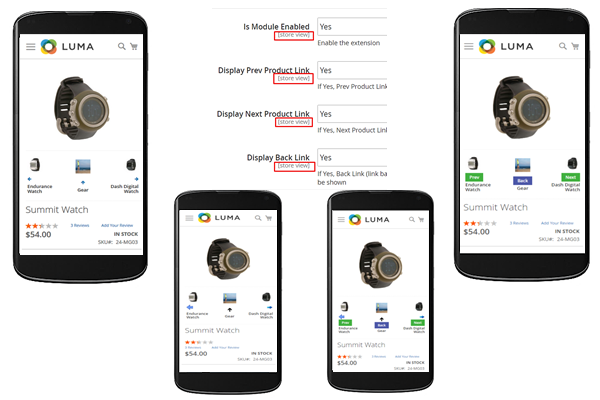 The Previous Next Product navigation extension is mobile-friendly, work great regardless of the type of device and screen size. Provide a responsive and touch-optimised for tablets and mobile experience. Allow customers, and visitors to smoothly navigate between products on tablets and smartphones. 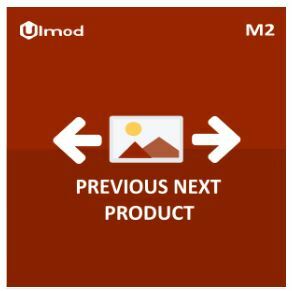 The Previous Next Product Navigation for Magento 2 by Ulmod, is a great tool, which enhances your online store usability and convenience for current and prospective customers. Its Greatly reduces the time consumption of customers navigation. You can purchase it for $79. The extension comes with lifetime updates, clean user guides, and 1-year free support. During the specified period, you will get an extension free support service. Further support renewals (optional) will cost you 70% less. For additional $29 the Support team will assist you with its installation. 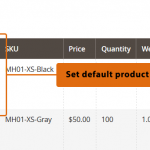 How to pre-select configurable product options on category page in Magento 2?